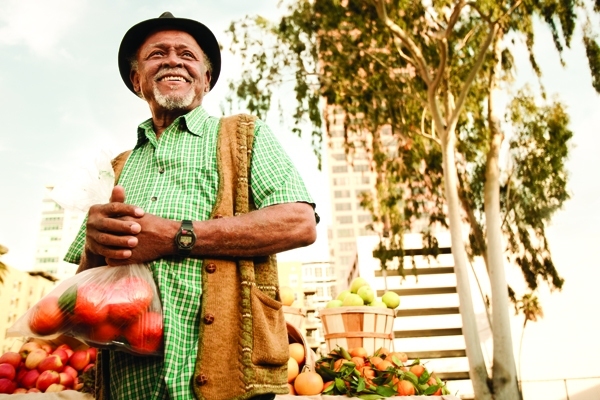 Members of the South Los Angeles (LA) community realize now, more than ever, the importance of increasing access to food options and physical activity. Community Health Councils (CHC) in South LA engaged in activities to create awareness about the relationship between the environment and health. These activities increased the availability of healthier foods in 10 neighborhood stores and planned spaces for physical activity throughout South LA. South LA residents have significantly fewer grocery stores, parks, and walking trails than West LA residents. In CHC’s health equity study, West LA residents were more than 200% more likely to have access to healthy food options. The same study revealed only 75% of South LA kids had safe places to play compared to 85% of West LA kids. This was measured by parent reporting easy access to safe play, amount of green space, and miles of bike lanes. These differences in access to healthy options and places that encourage physical activity might contribute to higher obesity rates, chronic diseases, and other health related conditions. The adult obesity rate in South LA rose more than 11% between 1997 and 2007. According to a 2009 report by the LA County Department of Public Health, almost three times as many South LA residents are living with diabetes, as compared to West LA residents. The CHC developed educational materials; conducted workshops; attended neighborhood meetings, as requested; and facilitated expert speaker presentations to create awareness about the effect of environmental factors on health. By using educational opportunities at churches, health fairs, neighborhood meetings, and other forums, the CHC improved health literacy and empowered community members to change their environments. Together, residents, researchers, business owners, grocers associations, developers, and other stakeholders identified and developed solutions to food access and physical activity barriers. I’ve lived here my entire life and have not seen this many people out walking. Because of the information shared by CHC, community members are changing the South LA community infrastructure to increase opportunities to make healthy choices. Today, there are seven new full-service grocery stores and three neighborhood convenience stores that carry healthier food options. Now realizing safe places to play are important; stakeholders slated 18 new parks for South LA. Zoning and land-use strategies support increases in open spaces, parks, and recreational facilities. Plans include greater access to walking and biking paths and other sustainable modes of transportation. By putting into action the Community Health Councils’ Model for Social Change, a process now exists so community stakeholders can affect change for any community health issue. The South LA stakeholder coalition will continue to meet to discuss possible methods in creating environments that help residents make healthier decisions. The CHC will continue to use these successful strategies in other neighborhoods struggling with health disparities including West Adams, Baldwin Hills, and the South Los Angeles Community Plan area. Goals for September 2015 include increasing access to healthy foods and physical activity through school campuses for approximately 44,424 additional residents. Consider joining one of the many community-based coalitions and partnerships that serve areas of greatest need. The more support for transforming South LA into a healthy, active community, the greater the difference we can make! This project is supported by CDC’s Racial and Ethnic Approaches to Community Health (REACH) cooperative agreement. The findings and conclusions in this success story are those of the author(s) and do not necessarily represent the official position of the funding agencies or the Centers for Disease Control and Prevention (CDC).